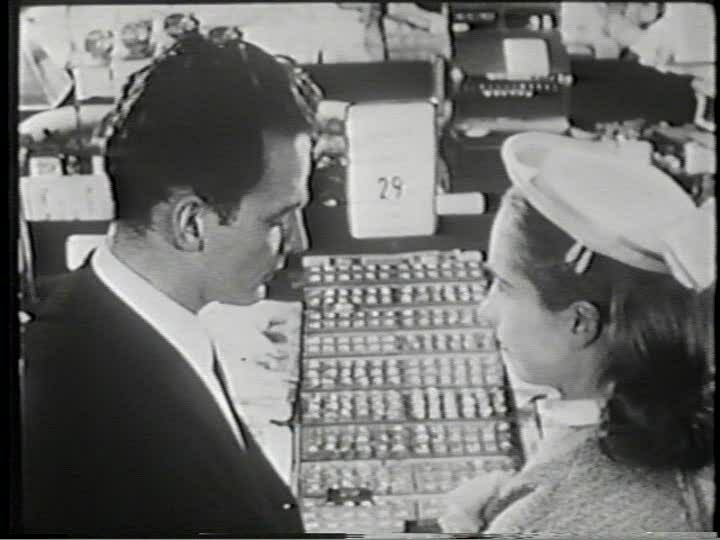 1958, Starring Ben Piazza, Anne Pearson. Directed by Sidney J Furie. 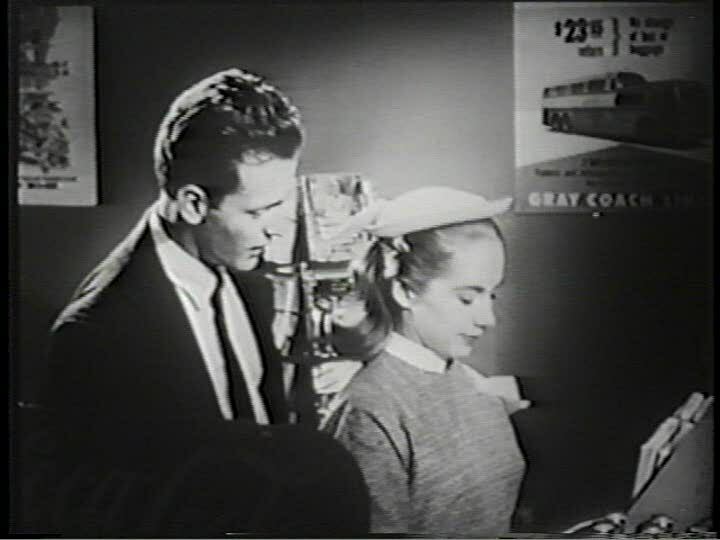 A Dangerous Age is a film that has long escaped Canadian critics, and only recently has interest been renewed in finding this "lost" Canadian classic. Sidney J Furie was only 24 when he wrote, directed and produced A Dangerous Age, for the CBC. Instead, Furie decided to release his first film theatrically with the help of Canadian exhibitor Nat Taylor. It was an ambitious project, because at the time, few Canadian features had been mounted since the late 1920s, and those that had were supported by the NFB. To independently produce a dramatic film at this time was unheard of. David and Nancy are young lovers who desperately want to get married. They are so young in fact, that Nancy is still in boarding school and is not even of the legal marrying age. This doesn't discourage David's plan to sneak her out for the day, so they can slip away to a courthouse in the next town to get married. He has everything set, including having her birth certificate altered by a friend, but he isn't prepared for Nancy's sentimentality. Nancy wants the trappings of a traditional ceremony, such as the dress and the ring, but David convinces her that only love is important. He believes marriage ceremonies are "cold and calculated." After a number of setbacks, David and Nancy finally get to the courthouse. 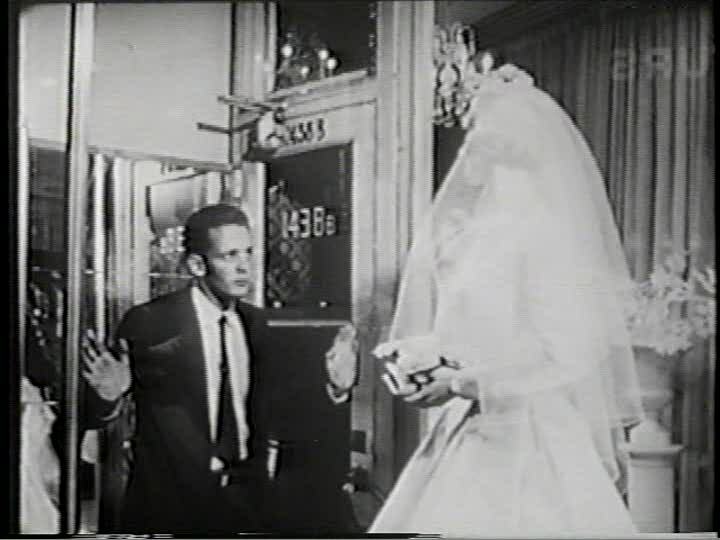 Although the clerk does not notice the alteration on Nancy's birth certificate, she informs them that since they did not previously file a statement of intent, they must now wait 24 hours before they can be married. David protests, but they eventually decide to leave and come back the next day. Nancy needs to be back in her dorm before curfew, so they take the bus back to the city. That night, David has dinner alone in a greasy spoon, where he watches a young couple at the next table argue in front of their toddler. Frustrated and unsure of his feelings about his impending marriage, he takes off back to his hotel room. Before long, Nancy shows up at his door she missed her curfew. The two discuss the difficulties of being in love, and worry about money, the future, and if they will eventually grow apart as the neon lights of the city flash across their hopeful faces. David helps her sneak back in to the school and arranges to meet her at the bus station the next day. Their trip to the courthouse is cut short when they step off the bus the next morning, and an undercover police officer takes Nancy to the station for truancy. The cops call the school to have her picked up, and her parents are notified as well. Frustrated at being thwarted at the last possible minute, David appeals to the police the best he can to let them go to the courthouse for 10 minutes. Despite their sympathies, the officers refuse to let Nancy go until she has been released to the school representatives. Before long, two middle aged women arrive to take Nancy back, explaining that her parents are waiting for her. On the way, David asks them to stop at a lunch counter, where he slips away and calls a taxi. When it arrives, he grabs Nancy by the arm and tries to drag her out, but he is stopped by one of the women. When David knocks her out of the way, the taxi driver gets scared and leaves. David steals the women's car and takes off with Nancy, back to the court house. The cops are quickly in pursuit, and despite David's attempts to sideswipe them off the road, they are eventually caught. Back at the school, Nancy finally emerges from a parent-teacher conference to tell David that they will have to postpone the wedding permanently. David is upset but accepts her decision, finally realizing that love does not conquer all as he takes a taxi back to the neon glitz of the city. This tale of young lovers struggling against the rules and restrictions that adult society has placed on emotion is a surprisingly well-written and well-acted movie that only falters slightly from Furie's lackluster direction. Furie followed A Dangerous Age with A Cool Sound From Hell, a film that has most likely been lost. With both of these films, Furie experienced firsthand the difficulties involved in distributing Canadian films. Although they were not seen in North America, both were released to critical acclaim in the UK. It should come as no surprise that Furie shortly left for England afterwards, going on to make many films such as The Ipcress File. Later he returned to Hollywood and would even come back to Canada to make several of the Iron Eagle movies under the tax shelter laws in the 1980s. A Dangerous Age launched the first real attempt to create a Canadian feature film industry since the days of silent film. After Furie's films, Nat Taylor and his wife produced a few more juvenile delinquency epics including The Ivy League Killers, The Bloody Brood and The Mask, all with the expressed purpose of showing the Canadian government that our films could compete with American films. Nat Taylor hoped that if he could prove this, the Canadian government would commit to supporting features as well as documentaries. Finally, with 1961's The Mask, Warner Brothers picked up the film for distribution and it went on to mixed reviews but respectful box office, giving Taylor the foothold he desired. Filmed in Toronto and the rural community of Bolton, Ontario (my hometown! 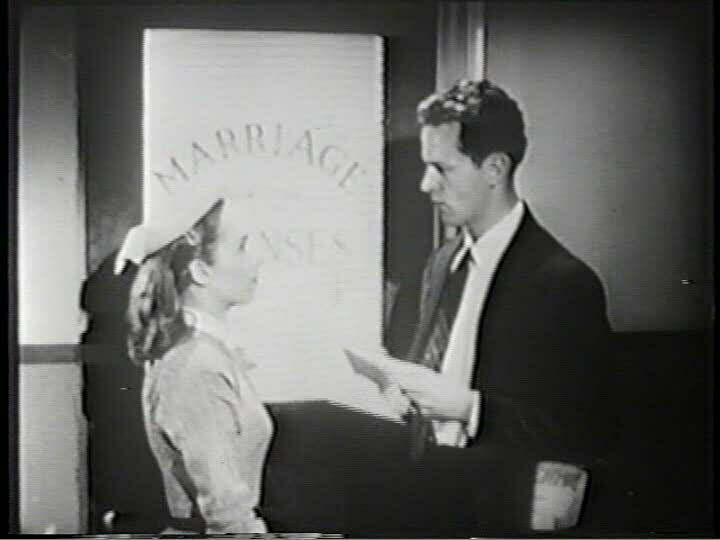 ), A Dangerous Age is a cautionary tale about rushing into marriage. It is quite similar in tone to Budge Crawley's classroom films, especially his Marriage and Family Living series that he had made just a few years prior to the resurgence in Canadian features. Definitely worth seeking out, A Dangerous Age is an entertaining experience that plays a pivotal role in our film history.